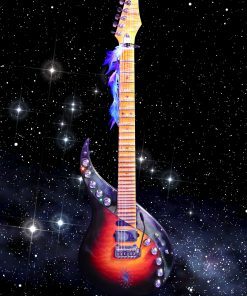 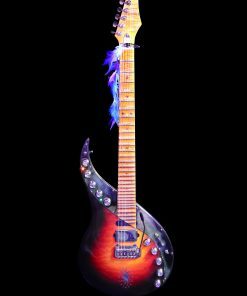 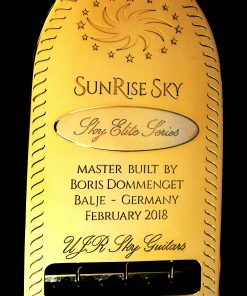 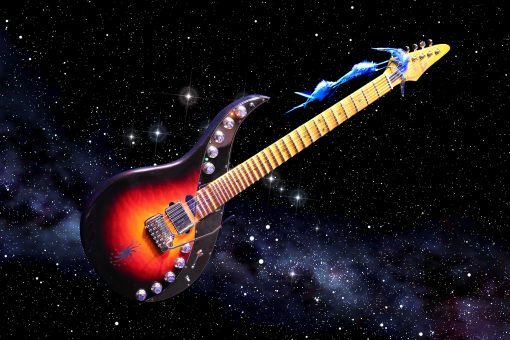 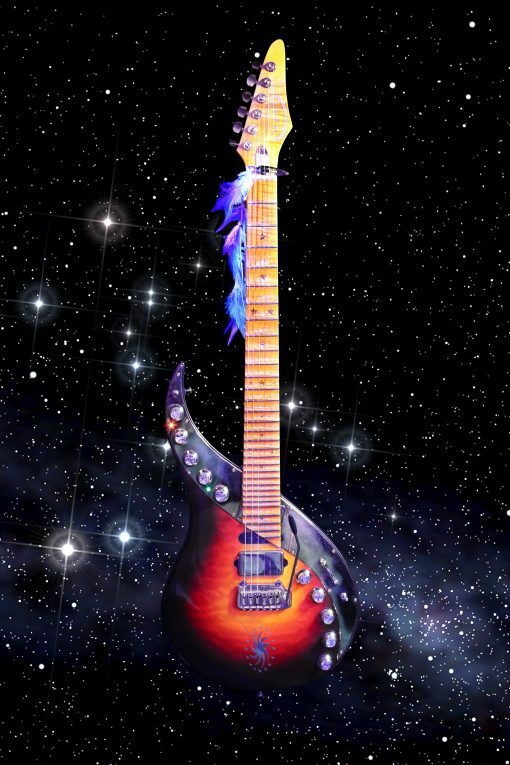 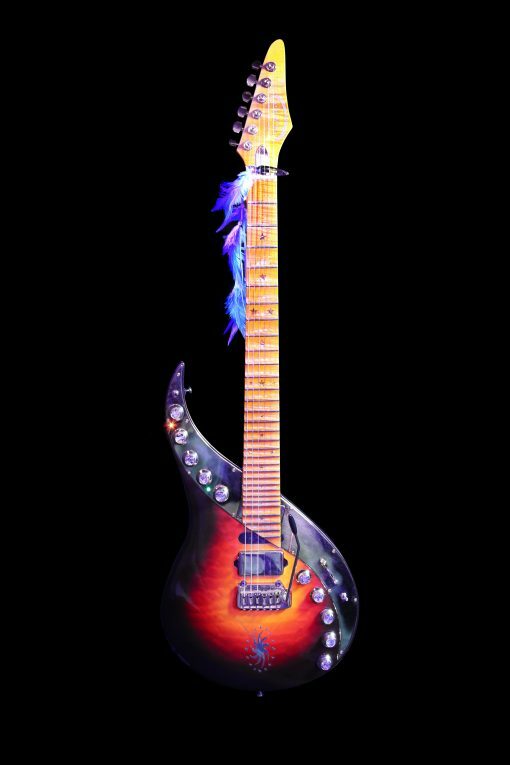 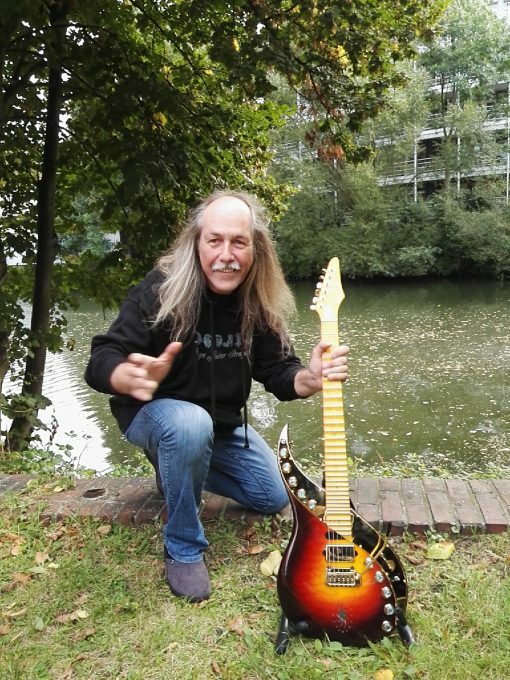 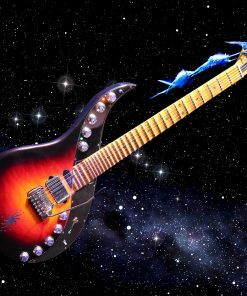 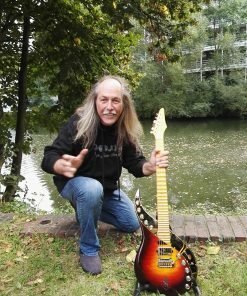 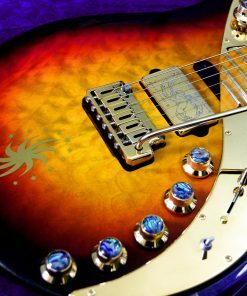 The Sunrise Elite is the most versatile and most advanced flagship among current UJR Sky Guitars. 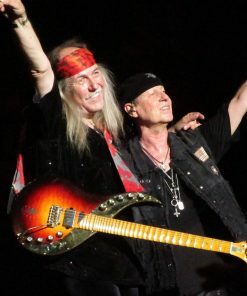 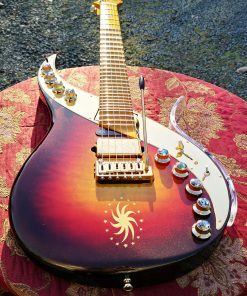 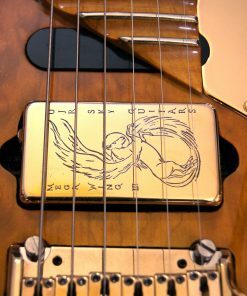 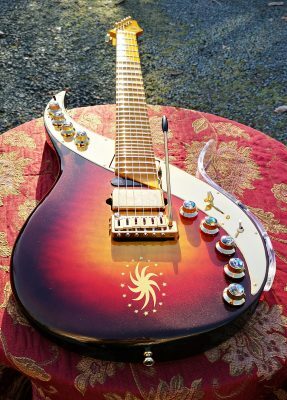 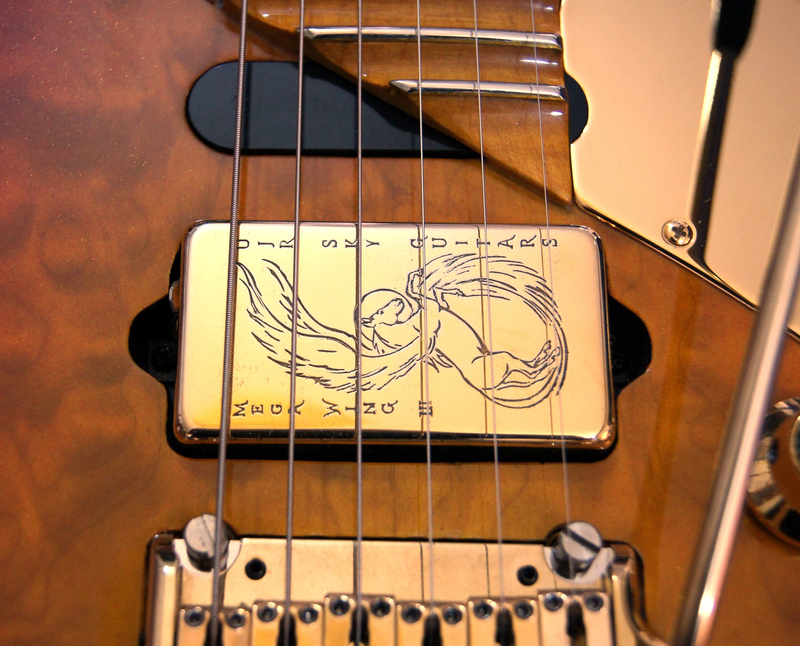 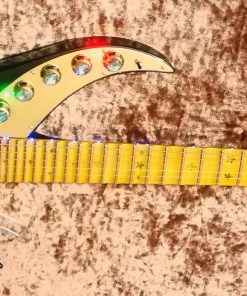 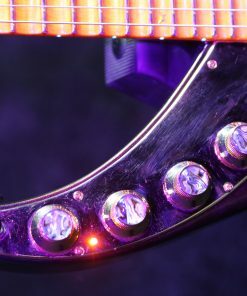 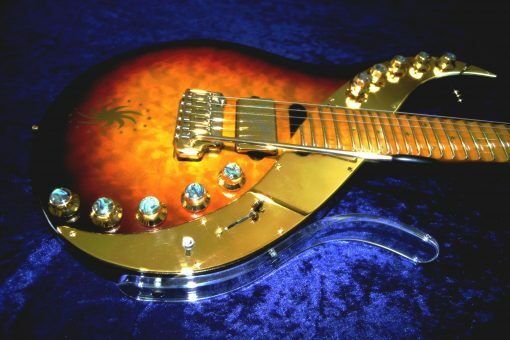 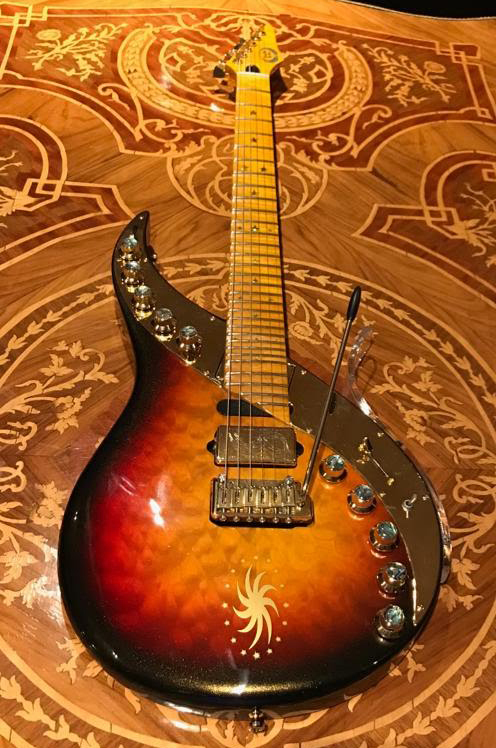 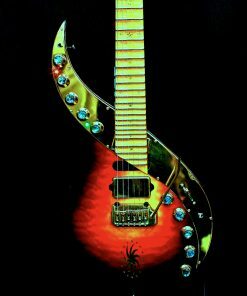 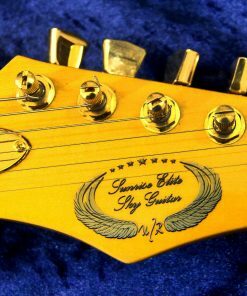 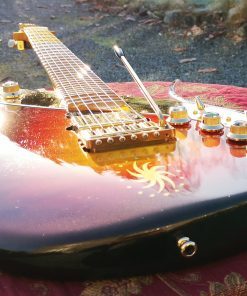 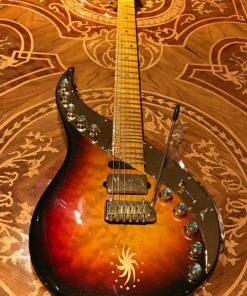 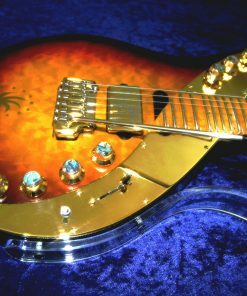 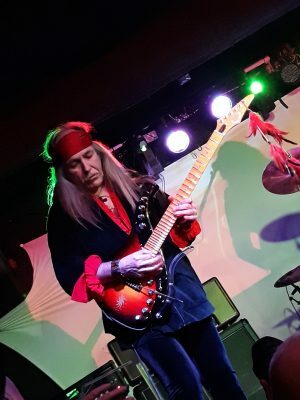 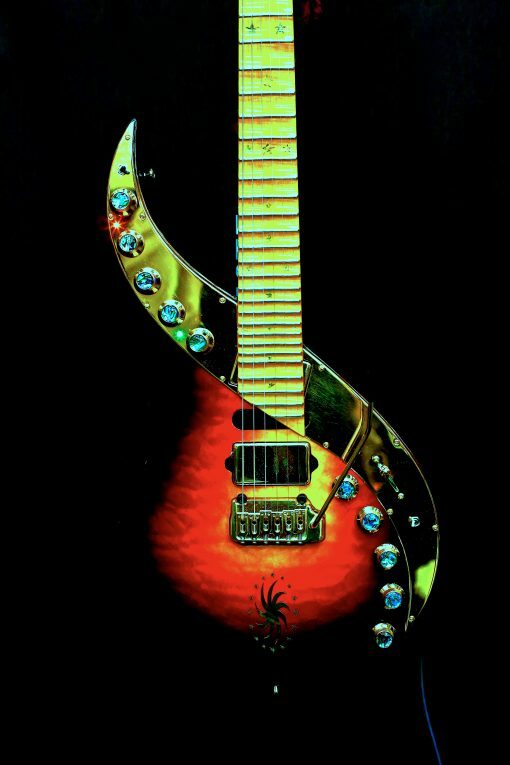 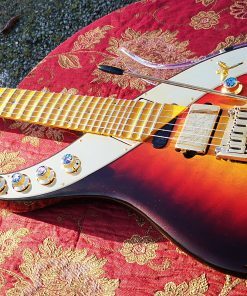 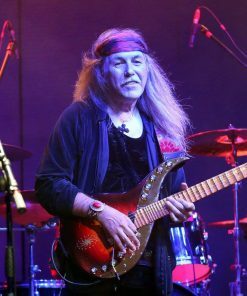 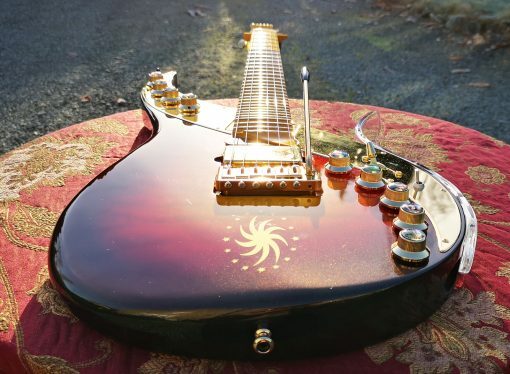 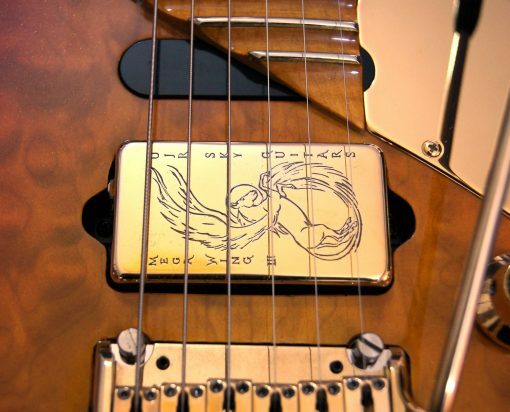 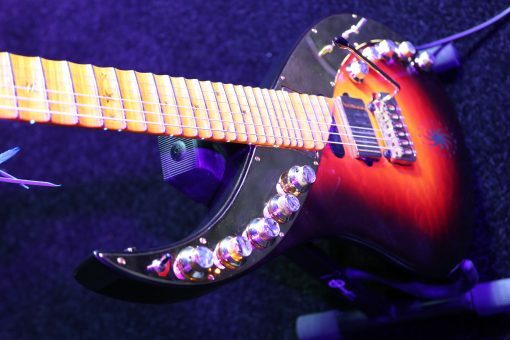 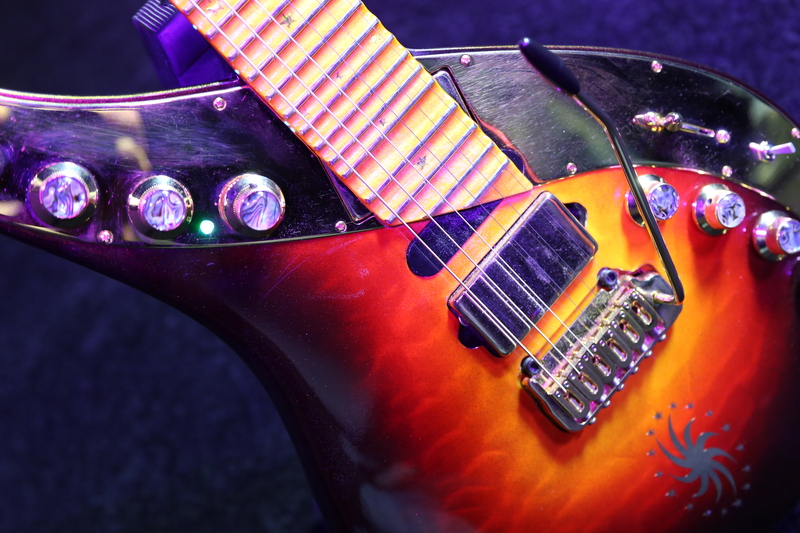 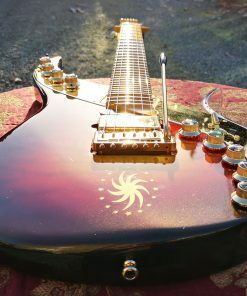 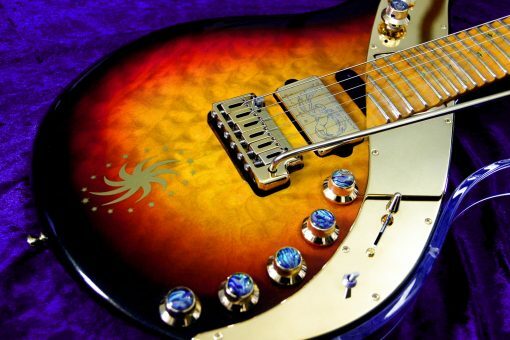 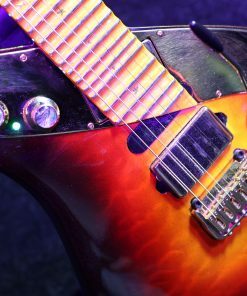 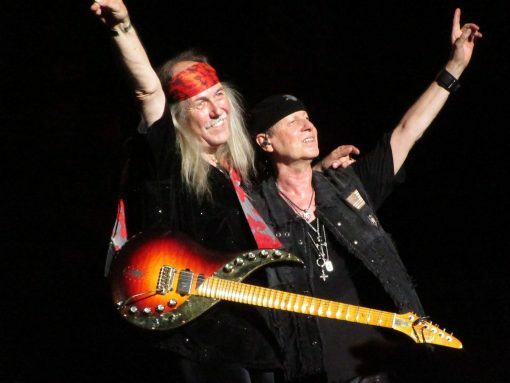 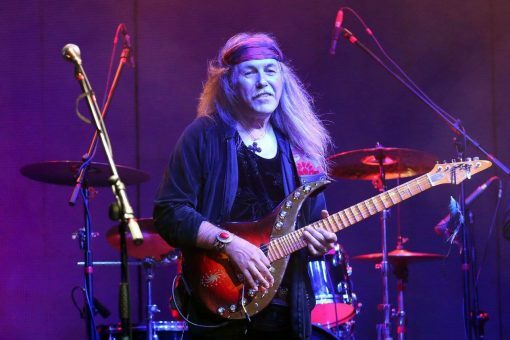 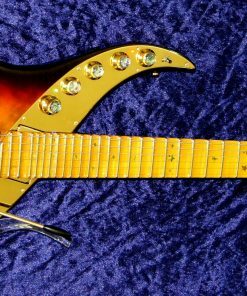 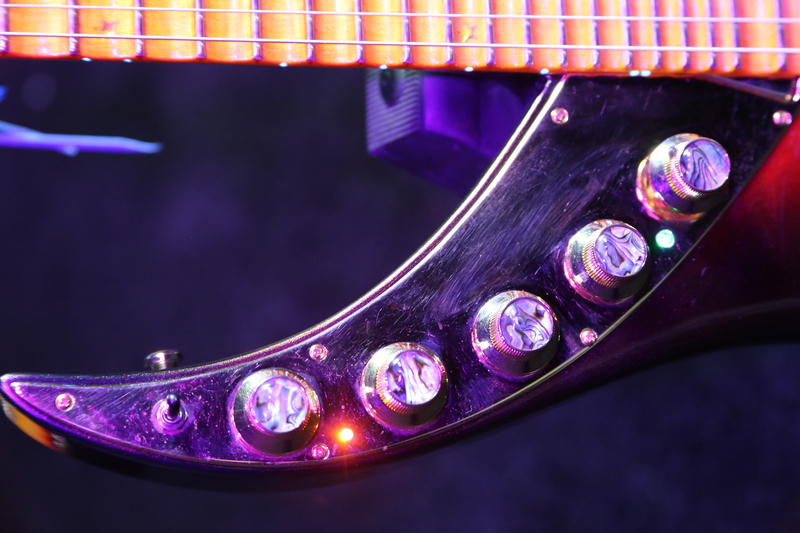 Close-up of the MEGA WING humbucker on a SUNRISE ELITE, belonging to Sky Guitar collector Cesar Chavez. Our latest Sunrise Elite, “Jasmine”, was built for Charlie Travis from Illinois. 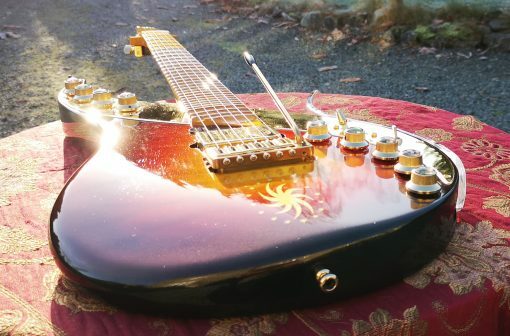 Looking gorgeous in the Winter sun. 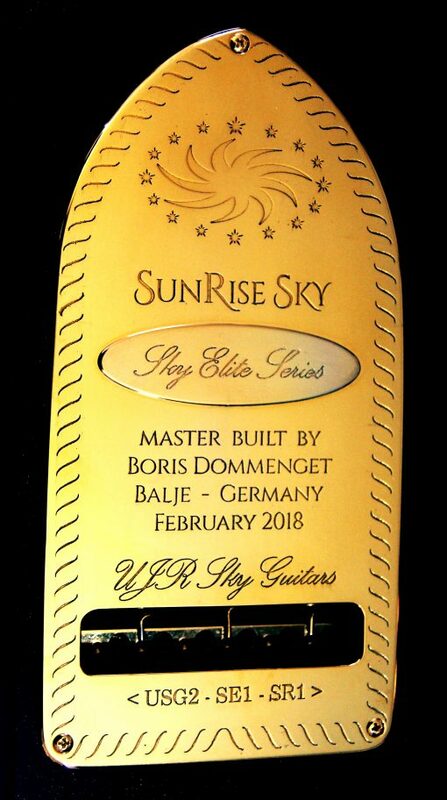 All new Sky Guitars come with a sturdy and comfortable fibre glass leg rest to facilitate playing the guitars sitting down. 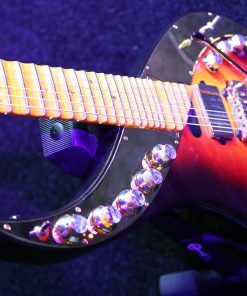 They can be detached easily if so desired.